As you know I was unable to organise a Raid in 2018 but delighted to say that we are returning to the Clyde for 2019. The 2019 Raid (the 7th) will be based at the Blairvadach Outdoor Centre on Gareloch, just outside Rhu and Helensburgh, again and will take place mainly in the waters of The Clyde in Scotland. The dates for the 2019 Raid will be Monday 22nd July – Saturday 27th July. We have added on an extra day as a number of Raiders (especially those from The Netherlands) felt that three days sailing was not enough when we were in the Clyde in 2016. Whilst the Raid is in the School holidays on order to encourage younger participants the Blairvadach Centre is not set up for very young children. There are no high chairs, for example. 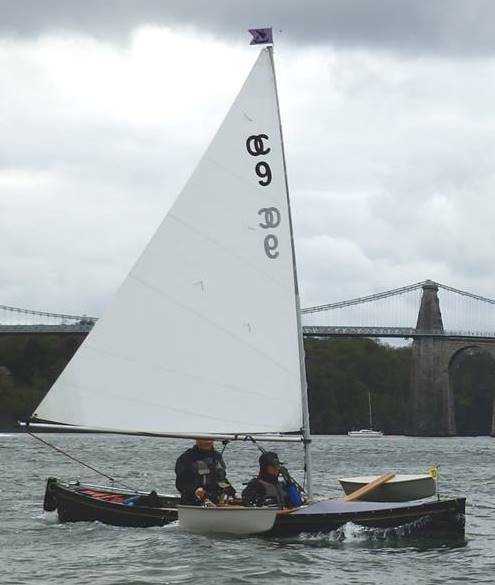 Having the 2019 Raid in Scotland again is not intended in any way to compete with the excellent Sail Caledonia which remains the best test of sail-and-oar adventures in the UK. Back to Plymouth for some unfinished business (I hope !). In 2015 we were forced to re-work our proposed routes due to the strong and unusual Easterly winds that prevailed at the time. This meant that we were unable to explore the beauty of the Tamer and missed out on the wonderful villages of Cawsand/Kingsand across the sound, together with the delights of Cornish Ice-cream and a dollop (of clotted cream) available in the shop in the square at Cawsand. I am hoping to rectify that this year. The 2017 English Raid (the 8th) will be based at the Mountbatten Centre again giving perfect access to Plymouth Sound. I am deeply indebted to Peter Chesworth again for agreeing to help me organise this Raid. He has now helped to organise the Mylor, (previous) Plymouth and Clyde Raid; the man is a saint ! The dates for the 2017 Raid will be Monday 14th August – Friday 18th August 2017. The Raid is in the School holidays in order to encourage those raiders with children or grandchildren still at school to join in. To view the programme and costs click on the Programme 2017 link. To see the likely routes click on the Raid Map 2017 link. The sharp-eyed (and those with a good memory) will see that we have changed the emphasis from English waters to British waters. The 2016 Raid (the 7th) will be based at the Blairvadach Outdoor Centre on Gareloch, just outside Rhu and Helensburgh, and will take place mainly in the waters of The Clyde in Scotland. Last years Raid in Plymouth showed the benefits (to the organisers at least) of a fixed base located at a Watersports Centre. Using Google maps to investigate the coastline of Britain, searching for places to host a Raid, showed up very few suitable locations but led us to The River Clyde; one of the most famous places for British sailing. Notwithstanding his sterling work in organising the Mylor and Plymouth Raids (ER5&ER6), which was above and beyond the call of duty, Peter Chesworth has very kindly offered to help me organise this one as well. I am extremely grateful for this and for any offer of help in planning the routes for this year or in finding a location for next year (2017). The dates for the 2016 Raid will be Monday 8th August – Friday 12th August 2016. To view the programme and costs click on the Programme 2016 link. To see the likely routes click on the Raid Map 2016 link. To register your interest in attending please click on the Register 2016 link. Having the 2016 Raid in Scotland is not intended in any way to compete with the excellent Sail Caledonia which remains the best test of sail-and-oar adventures in the UK.